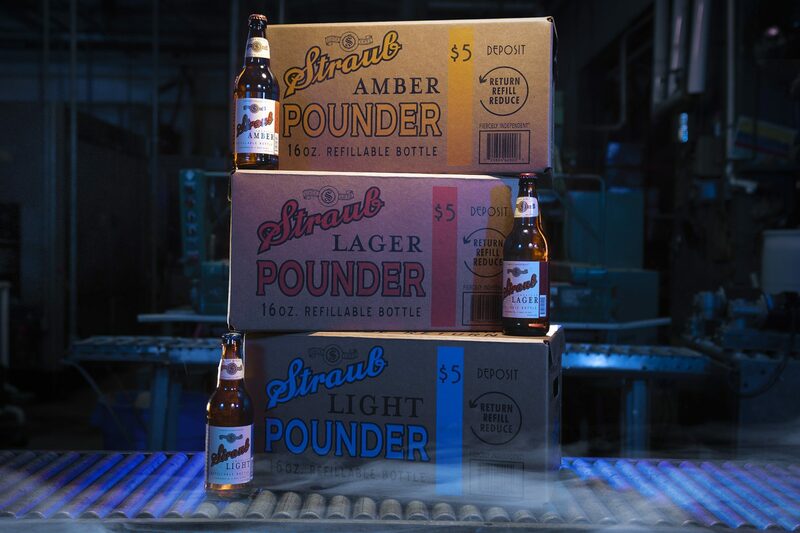 Straub Brewery has been carrying on the tradition of 16 oz. Returnable Bottles every since we purchased our first bottling line equipment in 1946. We are very proud to keep this tradition going not only because of the nostalgia, but because of its sustainability. A $5 Deposit is charged at time of purchase to ensure we get back our private stock of glass bottles and case. The customer gets his or her $5 backs when they return empty bottles and case back to the Distributor. Once the case and bottles return to our brewery they go through several inspections to ensure the bottles are clean, sterilized and ready to be filled with amazing Straub Beer and cycle continues! As these are 16 oz. bottles compared to 12 oz., you get an additional 8 beers per case at about the same cost as a regular case of 24-12oz. bottles, plus you just helped the environment by drinking beer . . . responsibly of course!